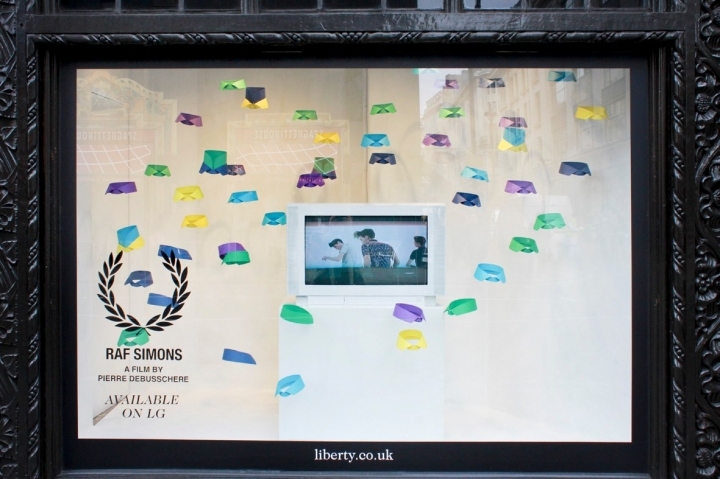 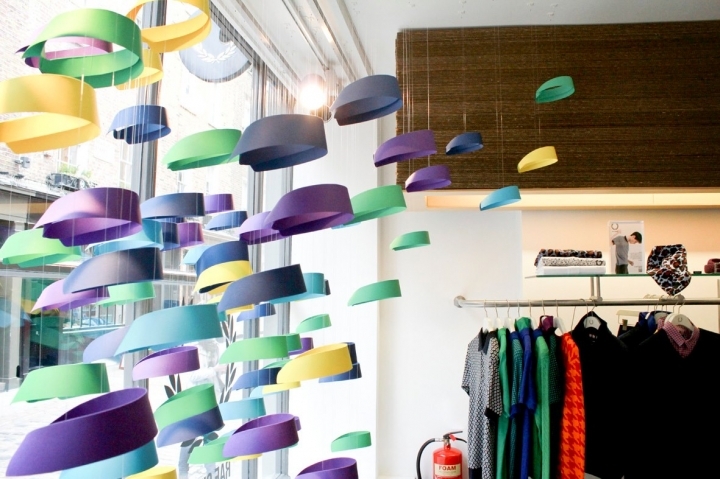 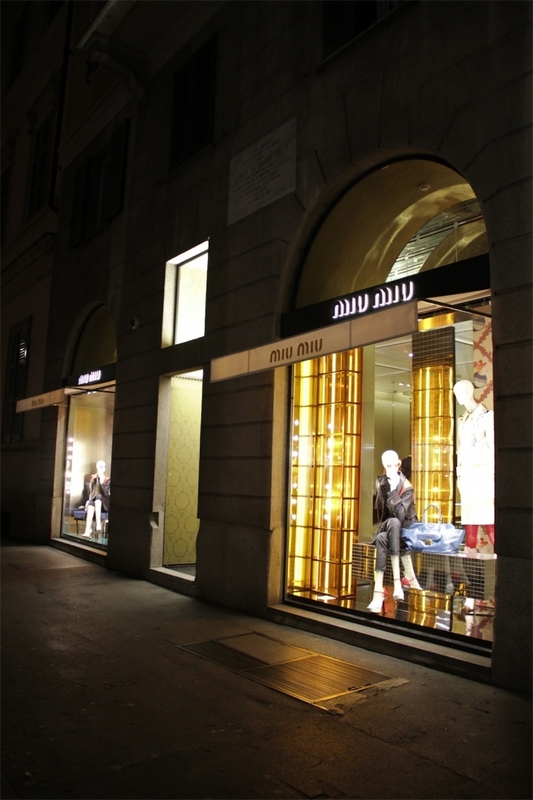 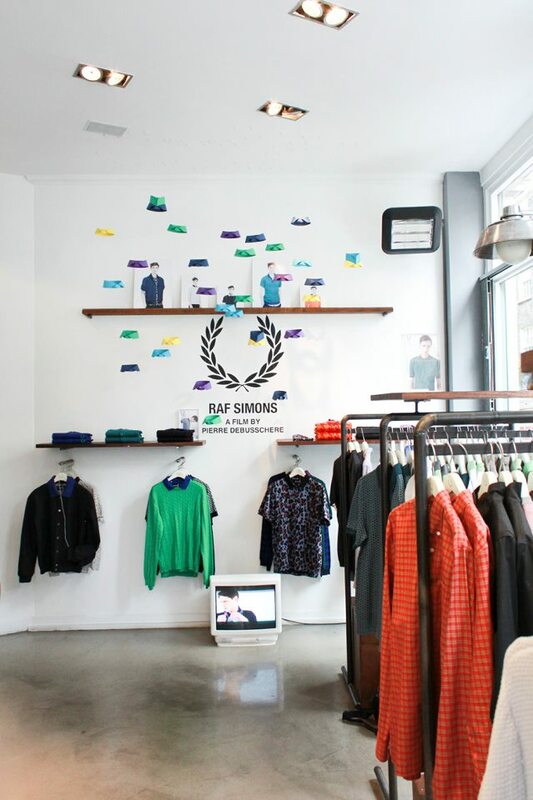 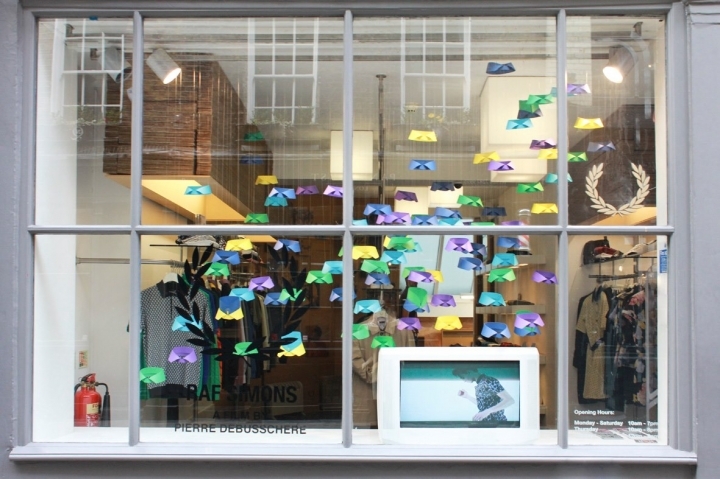 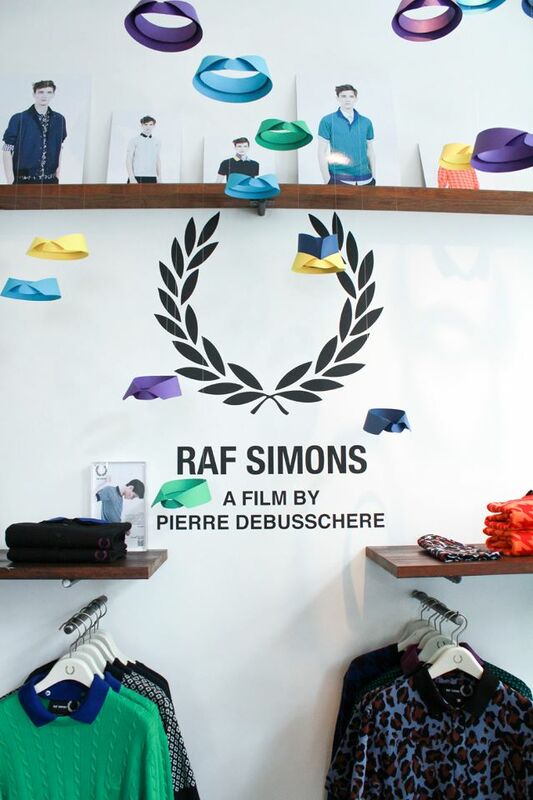 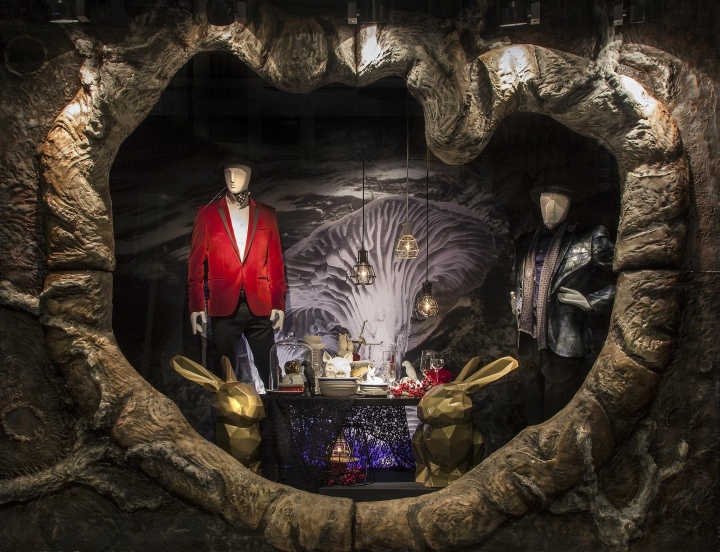 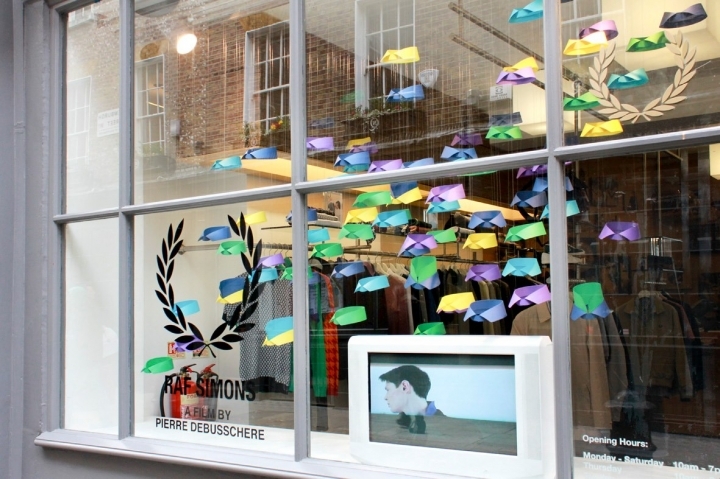 StudioXAG has created a playful window installation for the Raf Simons/ Fred Perry Spring 2013 collection. 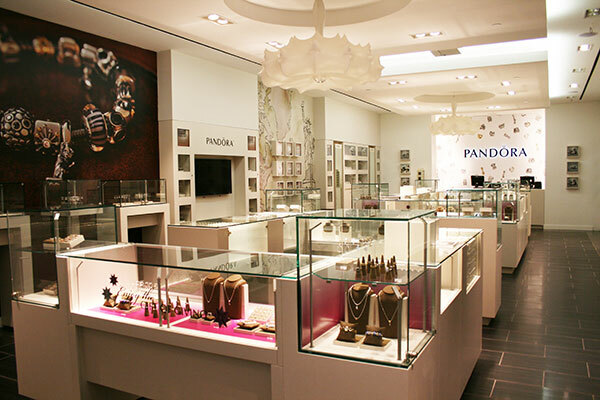 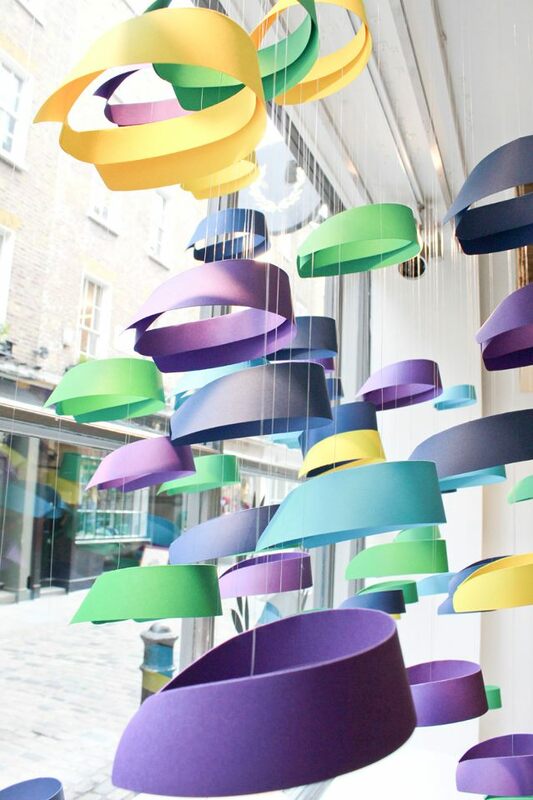 Based around the detachable collar feature in their new collection, hundreds of paper collars were individually folded and suspended from the ceiling in swarming formations. 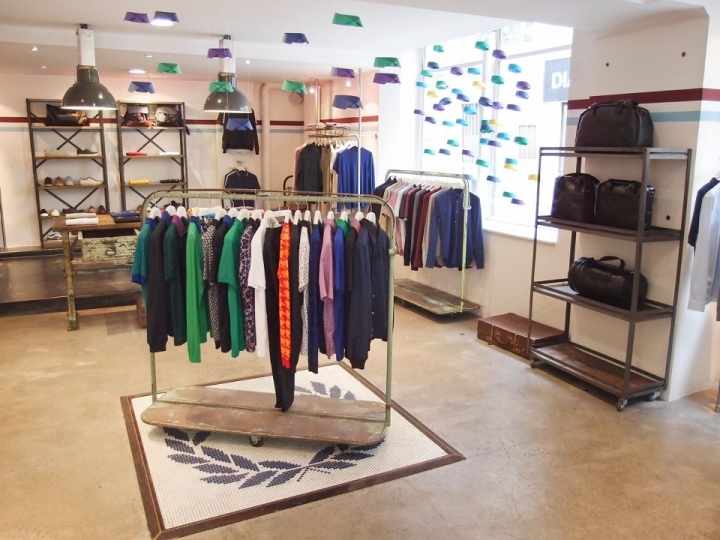 The flying collars can be seen in Fred Perry Laurel Wreath stores worldwide, at Liberty London and in-store at Dover Street Market. 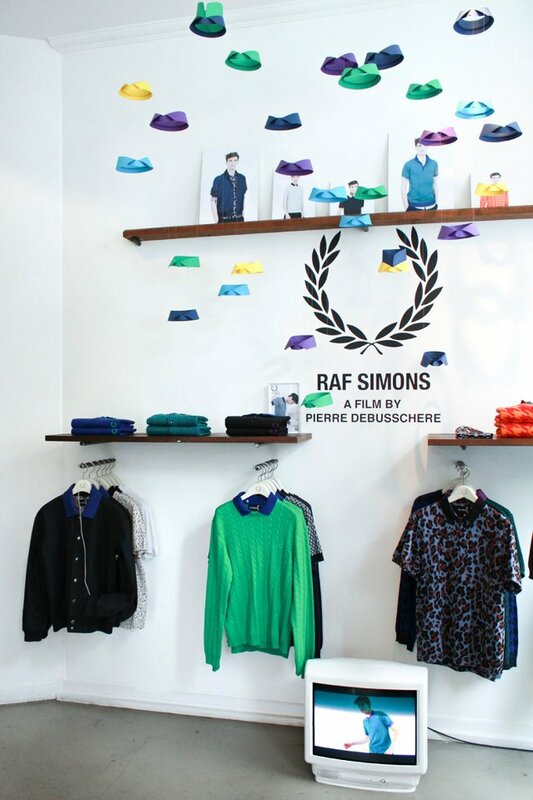 Vitrina realizata de StudioXAG pentru colectia de primavara Raf Simons/ Fred Perry.